Now that the house is starting to become more finished every day I thought I would show everyone what kind of “backbone” equipment I will be using, a 10 Gigabit backbone! All of the equipment has been bought with performance, functionality but also cost in mind. 10Gbit used to be very expensive but nowadays using DAC cables (Which only cost ~25$!) it’s very much within reach. The total setup shown here costs around 900 euro/dollar! 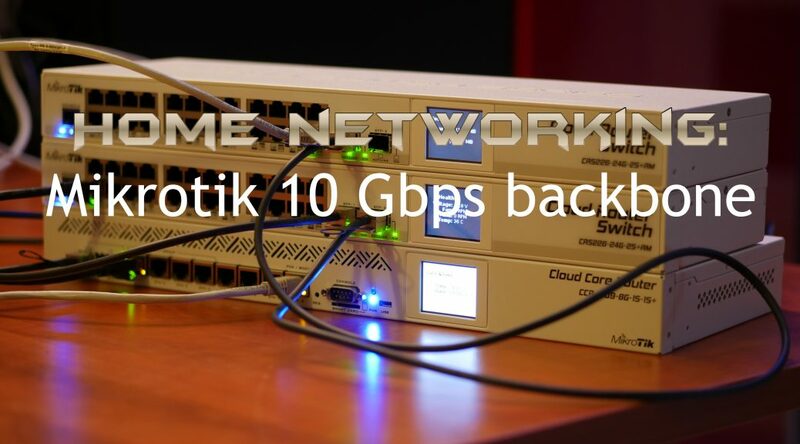 Not cheap but remember the 10Gbit and 48x1Gbps ports! 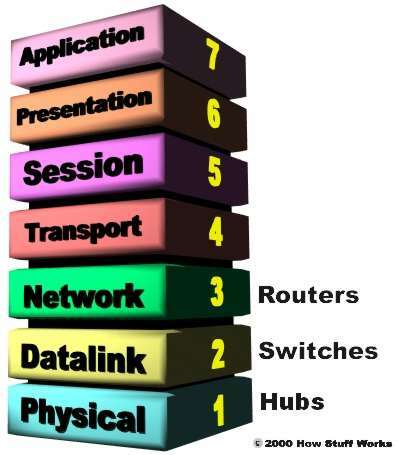 Although Mikrotik equipment doesn’t offer any stacking features, using VLANs can give you much of the same functionality (making it function like a whole) except for central management. 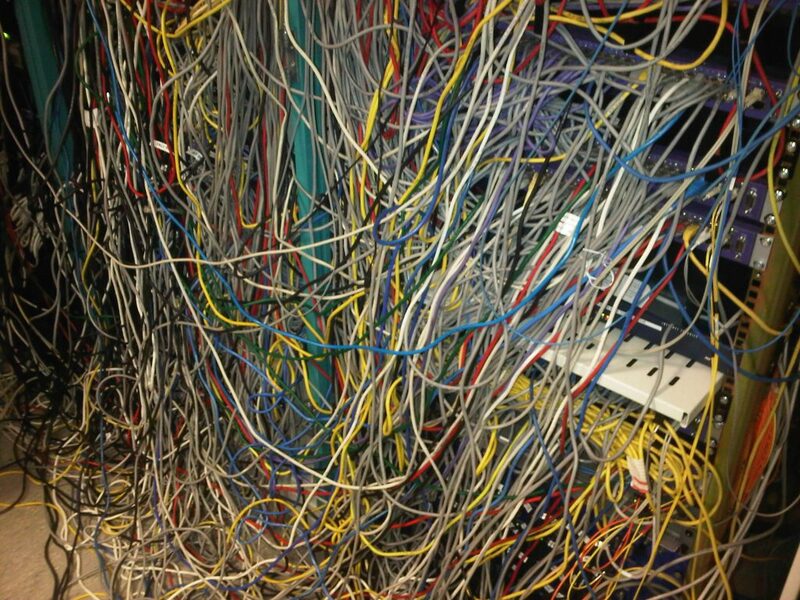 This also solves the problem that the CRS226 switches really can’t do any routing at all. Any VLAN tagging (for different subnets) will have to be done on the CCR1009 and both the CRS226’s to make that VLAN available on all needed ports. You should see the 10Gbit connection as a sort of backbone connection, linking it all together. That’s also where the 10Gbit connection is most important because traffic from clients will be going back and forth through this link to multiple clients, so the 10Gbit will actually be of use although I don’t have any 10Gbit clients at the moment. An example situation is where I’m downloading from the internet with 300Mbit from one client and another client is copying a file with 800Mbit between subnets. Because of the 10Gbit interface on the CCR1009 and the performance it can deliver this should show no slow downs whatsoever. What is this Layer 3 good for? I like to separate things. My wireless networks (Public, Private and LAN) are not “bridged” but “routed” which means it’s on a different subnet as my cabled clients for instance. But the same goes for my IP camera’s, my domotica equipment (my own WiFi LED dimmer), several VPNs, etc.. They all have their own subnet keeping everything neatly separated. I like to keep it all nicely separated and controllable that way. Often it takes a little bit more time to set it up but it can prevent a lot of problems later on! Isn’t all of this a bit overkill? Yeah sure, for you, probably. But I do use all of these features for various purposes. 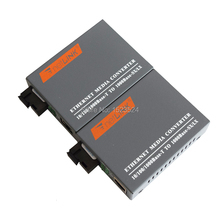 If anything it gives me better control and easier troubleshooting. As an example, I’ve really grown to dislike combined router/switch/wireless equipment and would much rather have it all separated! 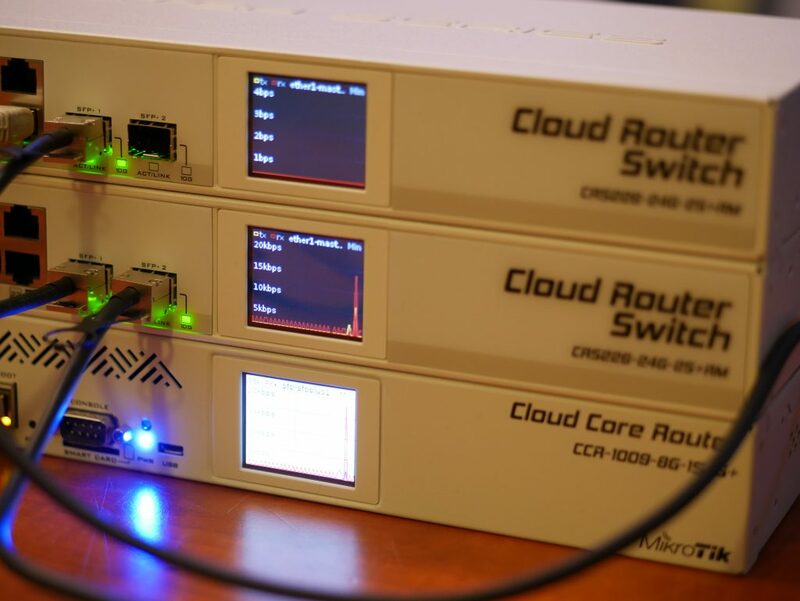 Using Mikrotik routerboards, it won’t even cost you more either! It’s also very educational and by building it myself I better understand certain aspects of my job and the networks I work in at clients, and not to forget the giant LANparty network we build for CampZone! Also, when buying this equipment, I wanted to be ready for the foreseeable future. 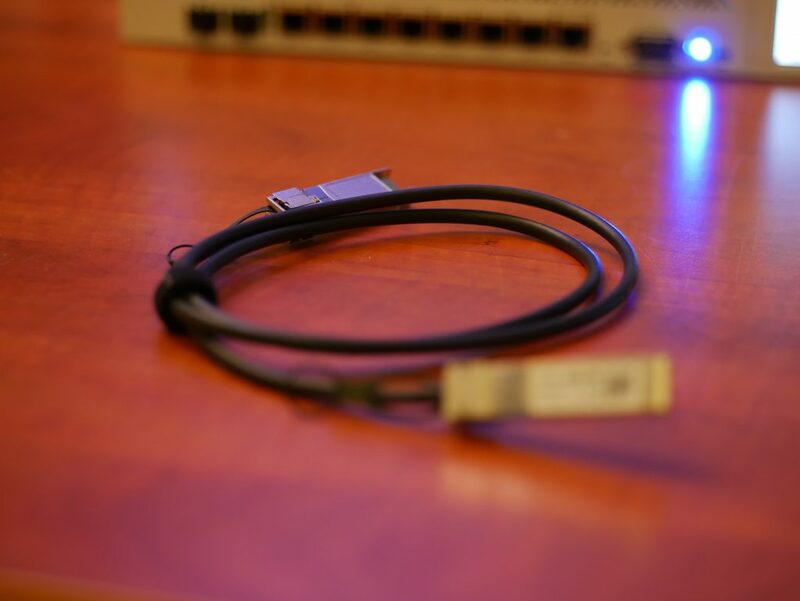 While 10Gbit for clients is still very expensive using SFP+ DAC cables it’s very do-able for your backbone setup. 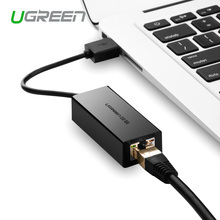 Also, the CCR1009 will be able to handle any internet speed up to 1Gbps, beyond that I might need to buy something new, but by the time that becomes available, it shouldn’t be a problem anymore anyway. Will it end up looking like this? And with that said, I want to end this post for now. Much more will follow in the future. This series of Home Networking will follow everything from the design of all the pipes that went into the house to installing a patch rack, installing wireless, configuring everything, etc.. Be sure to follow my YouTube channel or the blogs RSS feed so you don’t miss it. Question and comments are always welcome here or on YouTube! Great post. 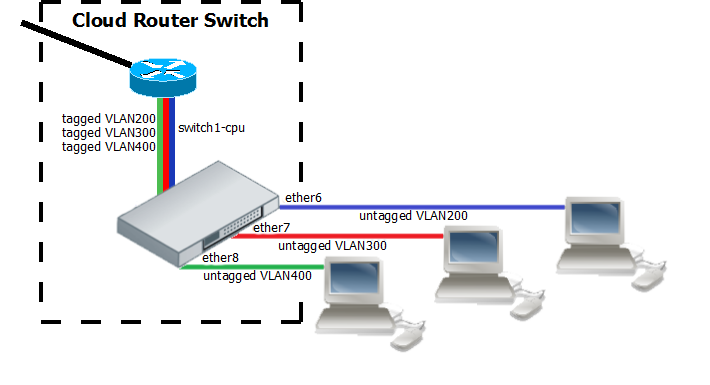 If you can I’d really like to see how you configure and mange all your VLANs and VPNs. I’m struggling to get the hang of it in routerOS. I am trying to achieve the same setup on a smaller scale using 1X CRS125-24G-1S-RM.